Welcome to RMCHCS! Thank you for stopping by our website. Rehoboth McKinley Christian Health Care Services Services (RMCHCS) is an integrated delivery system providing care for northwestern New Mexico and eastern Arizona. We are proud to continue a history of healthcare dating back to the early 1900s. As a private, not-for-profit healthcare system, we are committed to improving the health and wellness of our community and the individuals for whom we care. RMCHCS' roots go back to the early 1900's when Rehoboth Christian Hospital and St. Mary's Hospital provided healthcare services to the people of Gallup and the Native Americans living on the nearby Navajo and Zuni reservations. St. Mary's Hospital, located near downtown Gallup, became McKinley General Hospital in the late 1970s. In 1983 Rehoboth Christian Hospital, located on the east side of Gallup, merged with McKinley General Hospital in order to pool their resources so they could better serve the population. Today RMCHCS is a 501 (c) (3) not-for-profit healthcare network located in rural McKinley County. Accredited by DNV/GL, the College of America Pathologists and the American College of Radiologists, RMCHCS offers a wide range of medical and diagnostic services and provides healthcare for all people living in McKinley County and eastern Arizona. RMCHCS operates a 60-bed acute care hospital, two outpatient clinics, home health, hospice and behavioral health services. RMCHCS outpatient clinics offer acute primary care through its internal medicine and pediatrics practices and specialized services such as general surgery, obstetrics, gynecology, gerontology, infectious diseases and podiatry. If you have a concern regarding patient care or safety, please contact the RMCHCS patient comment line at 505-863-7190. If you are not satisfied with the response, you can report this information to the New Mexico Department of Health, Division of Health Improvement 1-800-752-8649 or DNV/GL (see below). Quality Check: What can this site do for me? Quality Check is the most comprehensive listing of health care organizations available today. DNV/GL accreditation/certification is recognized nationwide as a symbol of quality and safety that reflects an organizations commitment to meeting certain performance standards. 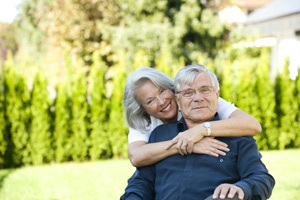 Search for health care organizations. DNV/GL-accredited and certified organizations will display a Gold Seal of Approval. View and download a Quality Report for all DNV/GL-accredited and certified organizations. You should discuss the Quality Report with your doctor or other health care professionals before making a decision about your health care. 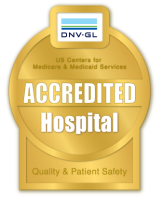 Only DNV/GL-accredited organizations display the Gold Seal of Approval. If there is no Gold Seal by an organization, it is not DNV/GL accredited.